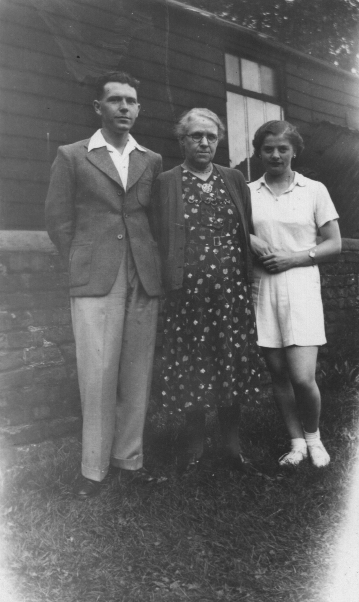 Hilda was born on 9th May 1918 at 70 Westminster Road, Hoole, Chester, to John Henry (aka Jack) Williams and his wife Martha (formerly BENYON). 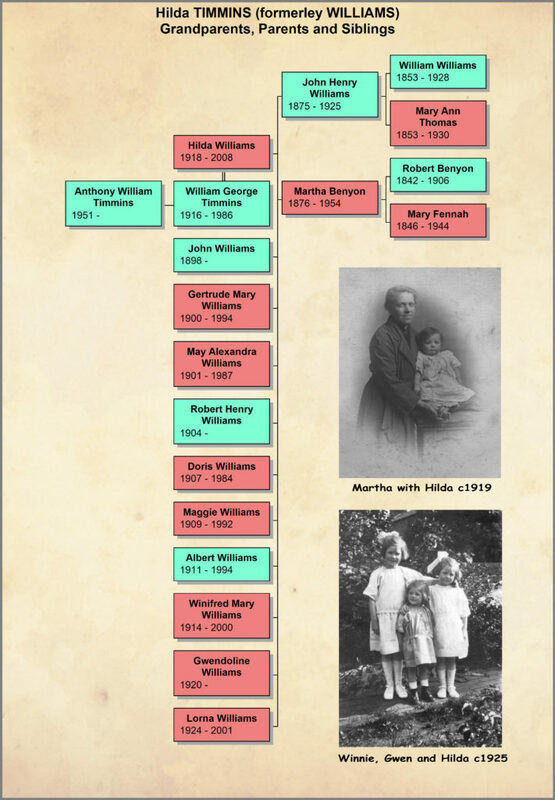 Hilda was the ninth of eleven children; there were 8 girls and 3 boys in the Williams family. She was baptised at Hamilton Street Methodist Church in Hoole. Just down the road at number 80 Westminster Road lived Hilda’s Grandmother, affectionately known as “Granny Benyon” (Mary BENYON; formerly FENNAH). She lived to the grand old age of 99! Hilda’s father John Henry died in 1925 at the age of 51 from tuberculosis, Hilda was just 7 years old. The four eldest children had by this time left home, leaving Martha with 7 mouths to feed. Martha was a good cook and housekeeper, she took in washing and ironing to make ends meet, there was always food on the table. Following her fathers’ death Hilda became seriously ill, she was diagnosed as having “St Vitus Dance”, a disease you don’t hear much of today! Her recovery which took about 12 months was credited to Granny Benyon, she would brew 3 cups of fresh Clove Tea every day for Hilda to take. Sunday was “Chapel Day” – Hilda, Gwen, Winnie and Lorna would accompany Granny Benyon to the Baptist Chapel morning and evening, they would help her find the hymn numbers. Hilda attended Westminster Road Girls School. She left school at 14yrs of age and went to work for Johnsons the Cleaners, in Faulkner Street, Hoole, as a Messenger Girl. Hilda attended college at the Museum in Grosvenor Street, Chester where she learnt Book Keeping. Hilda worked her way up to become a Supply Manageress travelling all over North Wales before becoming Manageress of her own shop in Bridge Street Row, Chester (next to Dunne’s the Chemist). When war broke out in 1939 Hilda was called to do work at the Brookhurst factory in Newry Park, Chester which was producing components for aircraft. 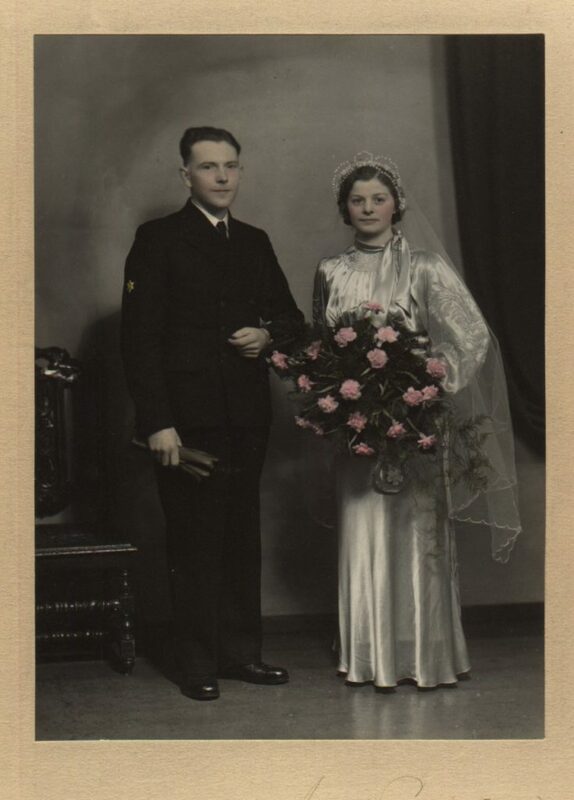 On the 21st Dec 1940 Hilda married the love of her life Bill (William George TIMMINS) at Hamilton Street Methodist Church . They went to live with Bills parents in Hoole, Chester. Hilda had met Bill at the Baptist Chapel in Westminster Road. Bill (who was two years older) would stand at the door of the Chapel every Sunday morning to mark the Star Cards of the younger parishioner’s as they entered; Hilda would get a Star, also a smile and a wink. 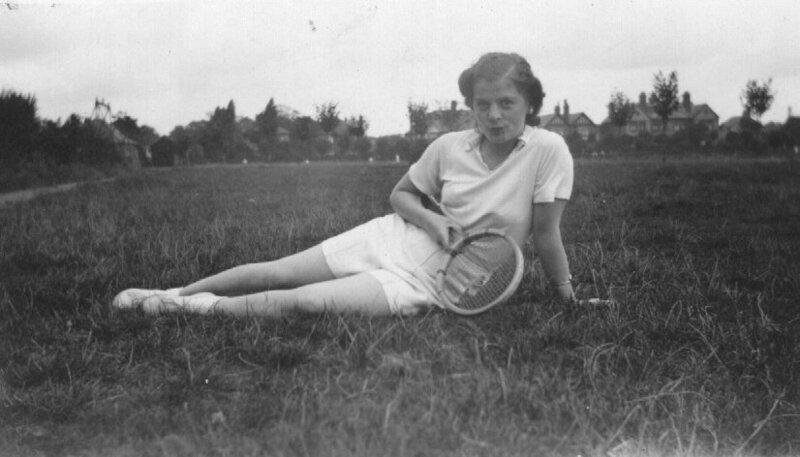 They loved to play tennis in Hoole Park, go cycling on the Wirral peninsula, and in the evenings go to the local theatre and cinema. Hilda was already entertaining folks being in the Guild Choir, which was based at Methodist Central Hall in City Road, Chester (demolished in 1982). From an early age Hilda loved to sing and perform (we will come back to this later!). She was always smiling and laughing. My childhood memories are of embarrassment every time we went to a family do, Mum would always insist on performing. Following the outbreak of war Bill joined the Navy as a Writer. He was stationed first in Plymouth and then Gibraltar; for the last two years of the war he was moved to Scotland where Hilda joined him. They lived in the small fishing village of Balintore, a few miles northeast of Inverness. On de-mob Bill had risen to Chief Petty Officer. After the war Hilda and Bill were allocated a council house in Myrica Grove Hoole Lane where they lived happily for 12 years. In 1957 Bill’s mother died and the family moved back to Pickering Street to look after Bill senior. In the late 60’s Hilda went back to work part-time as a florist at Margaret Burkett’s Flower Shop in Charles Street Hoole, working alongside her longstanding friend Dorothy Hurley. She was there for 12 happy years, until Bill retired. Hilda was in the choir at Hamilton Street,where she also arranged the flowers each Sunday. She also arranged flowers on numerous occasions for the weddings at the church; also at the Hospice in Backford with WI friends. Photo: Hilda with her flower arrangements in the church. Hilda was in the WI for many years, firstly at Upton Heath and then Plas Newton, she was active in entertaining, singing and drama; she loved to dress up and entertain “the old folk” as she still called them when in her 80’s! Hilda could always be found at Hoole Park with Bill, when not bowling she would be making the tea and food for the bowling competitions. Hilda was twice the President of Hoole Bowling Club; once when she took it over from Bill upon his death in 1986 and again in 1988 in her own right. Hilda’s only love Bill passed away in May 1986 aged only 69; they had been married 46 years. Following Bill’s death Hilda was very active, she could be found singing with the church choir, entertaining with the WI, bowling at Hoole Park, flower arranging, and out & about with the Kilmorey Ladies Group. Hilda’s only Grand-daughter Rebecca was born in Jan 1985. She adored Rebecca and spent many happy hours looking after her, often teaching her some of the songs that she was entertaining the old folks with. One of Hilda’s favourite stories was about an incident when “entertaining the old folk”. Her part was to dress up as a decorator and sing the old music hall song “When Father Papered the Parlour”. She got through the first verse and had just stated the chorus when her top dentures flew out of her mouth, they skidded along the floor and ended up at the feet of a gentleman in the first row. Without hesitation the gentleman whipped out a handkerchief from the top front pocket of his jacket, unfolded it, picked up the dentures, then presented them back to Hilda in cupped hands. By this time the audience and other members of the cast were in fits of laughter, the pianist had tears rolling down her face and couldn’t carry on for several minutes. Dabbing it here! dabbing it there! 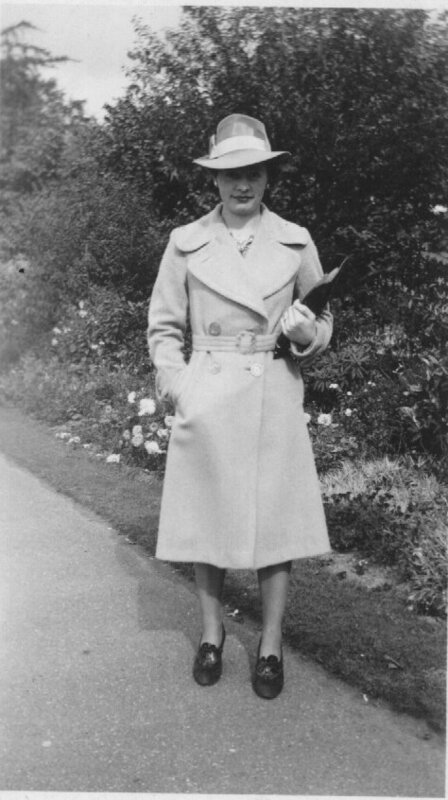 With her friend Flo Alston, Hilda would regularly go on holiday once or twice each year mainly to Scotland (always taking some “dressing-up” clothes with them!). They always came back with stories of fun times. 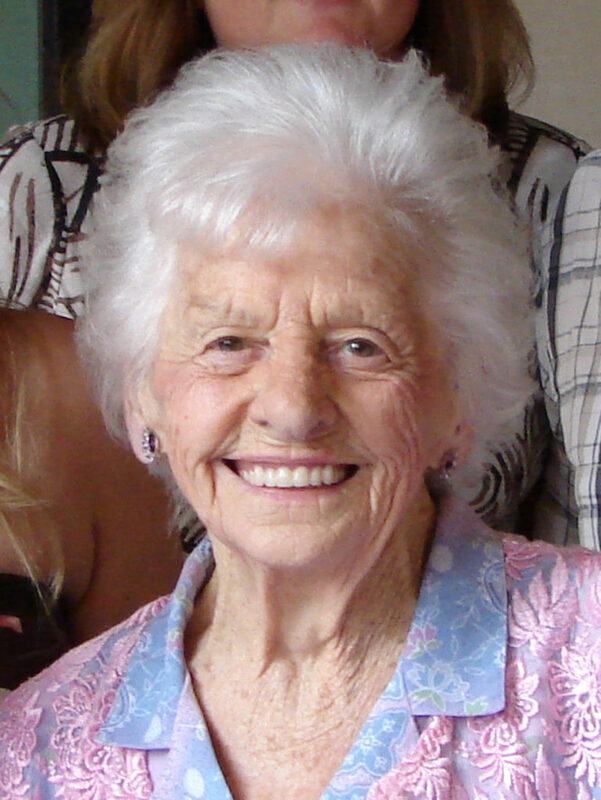 Flo was a member of the WI and church choir, she also loved to entertain. They were born within a week of each other, they were great friends. On the left is their 70th birthday party. Below on holiday in Aug 1996. In May 2008 Hilda celebrated her 90th birthday party, she invited over 80 people to an afternoon tea at the Hamilton St Church Hall. Flo was also there, having celebated her 90th a few days earlier. As usual Hilda could not resist entertaining everyone with one of her favourite songs. I have lots of old photographs of Mum dressed up to entertain – perhaps these are a subject for a future Wordless Wednesday. Following her 90th birthday Hilda became ill, she was admitted to the Countess of Chester Hospital and Lightfoot Lodge on several occasions, in-between time going back home to Pickering Street for short periods. Hilda was a gregarious person and she loved going to Lightfoot Lodge with the other folk who were also in respite. Hilda had lots of friends in Hoole, both neighbours and shop-keepers, they all kept an eye on her, they helped her whenever she needed it. This care and village community life in Hoole is what Hilda loved so much and why she never moved elsewhere. Mum passed away on 28 Dec 2008 after a 20yr fight against Mylodysplasia. I can’t finish without mentioning Mum’s distinctive laugh. If you wanted to find Hilda you just had to listen for the laugh. This entry was posted in Timmins, Williams by Tony. Bookmark the permalink.